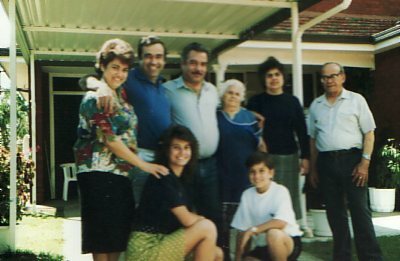 Above: My parents, Argiro and Athanasios (front row, middle and right respectively) and my sister, Antigone (back, right) pose with friends. 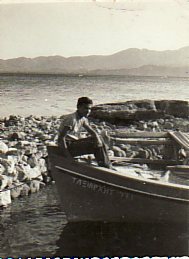 Above Right: Excursion to Chios with friends. I am second from left. Above: At the limanaki at Pyrgi. 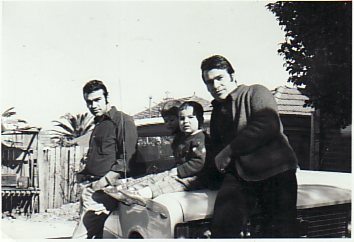 Above Right: With my brother, Efstratios, and nephew, Athanasios. 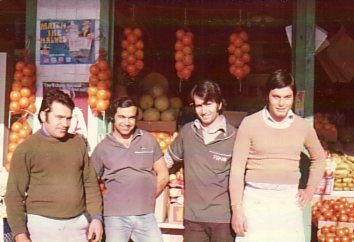 Above: At our fruit shop in Mortdale, Sydney. 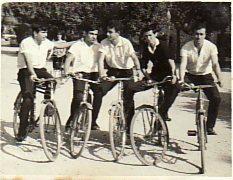 L-R: my brother, Efstratios, myself, my brother-in-law, Frank- and his brother, Petro. Above Right: With my siblings, Antigone and Efstratios. Above: A photograph taken during my brother Georgios' visit to Australia. 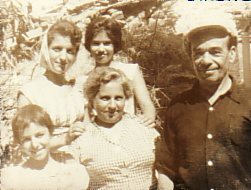 L-R: my sister, Antigone; myself; my brother, Georgios; my mother, Argiro; my sister, Vasiliki; and my father, Athanasios. In the front are niece and nephew, Mary and Anthony. Above Right: My family. 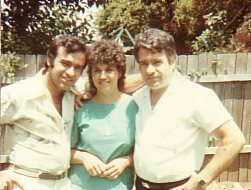 In the back are my wife, Panagiota "Toula", myself, and my son, Vasilis. 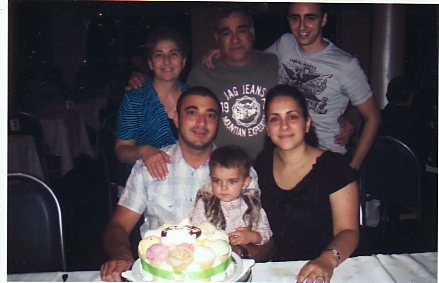 In the front are my son, Stylianos- with his wife, Christina, and daughter, Nicolette. 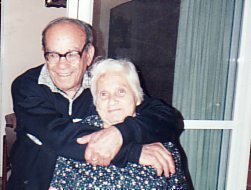 Above: My parents, Athanasios and Argiro.